NEW YORK (AP) — Mexican drug lord Joaquin “El Chapo” Guzman was so rich, he had a private zoo where big cats roamed. So rich, he bought a $10 million beach house. And so rich, he traveled to Switzerland for an anti-aging treatment. 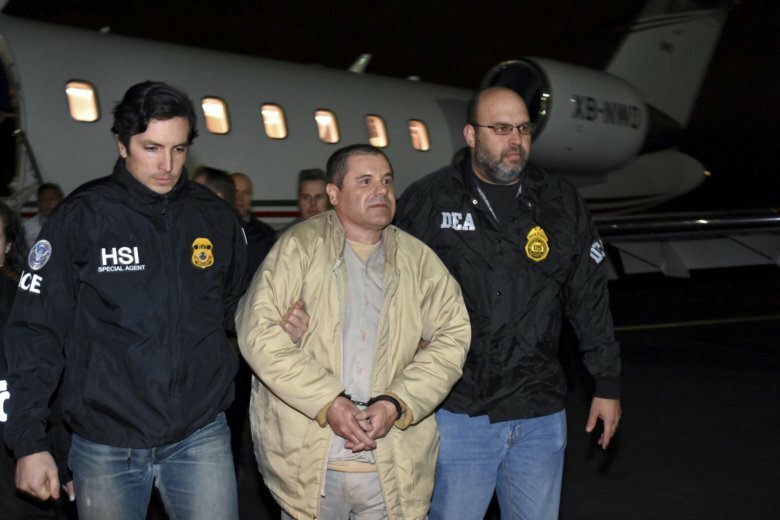 Guzman’s excesses were detailed at his U.S. trial on Tuesday by former cartel crony-turned-government witness Miguel Angel Martinez, who told jurors that a “cocaine boom” in the early 1990s fueled the lavish spending spree. Martinez described how the Sinaloa cartel was smuggling tons of cocaine into the United States — through tunnels dug under the border, in tanker trucks with secret compartments, even in fake chili pepper cans. What came back in the other direction, he said, was tens of millions of dollars in cash. Much of it ended up in Tijuana, where Guzman would send his three private jets each month to pick it up, Martinez said. On average, each plane would carry up to $10 million, he said. The cartel used stash houses to hide much of the cash, Martinez said. Samsonite suitcases stuffed with U.S. currency also were taken to Mexican banks, where workers were bribed to exchange it for pesos, no questions asked, he said. Guzman also used his jets to fly around the Mexico with armed bodyguards to visit all his homes, including an Acapulco beach house featuring the zoo with a “little train” used to ride around and see lions, tigers and panthers, he said. There also was a yacht docked there called “Chapito,” he said. Among his other expenses were “four to five” women in Guzman’s life, Martinez said with the defendant’s wife listening from the gallery. “We had to pay them all,” he said. Over time, the kingpin who grew up in poverty developed a taste for world travel, he said. His entourage visited Macau to gamble and Switzerland so he could get a “cellular youth treatment,” he said. Guzman was extradited to the U.S. last year from Mexico. He has pleaded not guilty to drug-trafficking charges, with his lawyers claiming he’s being framed by shady cooperators. In opening statements, a defense attorney suggested Martinez couldn’t be trusted as a witness, saying he had such a severe cocaine habit while he was working for Guzman that it damaged his nose. He admitted Tuesday that “unfortunately” he was using up to 4 grams of coke each day at the time, but hadn’t touched it for 20 years. Martinez was on the witness in the third week in federal court in Brooklyn, where there has been a minor stir over prosecutors accusing defense lawyers of violating strict security measures by providing Guzman’s wife, Emma Coronel, access to a cellphone in the courthouse. The judge indicated Tuesday that any immediate concerns had been resolved. Associated Press writers Kiley Armstrong and Jim Mustian contributed to this report.